The British boxing scene is amongst the most exciting scenes for boxing in the world. 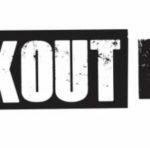 The fans pack arenas and cheer for their fighter in soccer style, commentators are the funnest to listen to and the ring entrances are a dazzling display of smoke and lights. Some very colorful and exciting fighters have come out of the british Boxing scene. 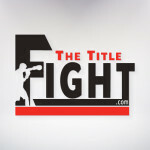 Fighters like Lennox Lewis, Herbie Hide, “Prince” Naseem Hamed, and Ricky Hatton. There was another colorful, exciting fighter who was at the top of his game, only to have it all taken away from him in one night. That fighter was former featherweight champion Paul “The Yorkshire Hunter” Ingle. Ingle was a hard-nose, come forward fighter who brought excitement anytime he was in the ring. Ingle who hailed from Scarborough, North Yorkshire England began boxing at age nine and had a very good amateur career in which he represented Great Britain in the 1992 Olympics in Barcelona, Spain. He turned pro in March of 1994, scoring a third round knockout in his pro debut. He would go 21-0 with 11 KO’s from 1994-1998 while claiming the British, Commonwealth and European featherweight titles. He had an unorthodox style of living while preparing for his fights. He would go camping out on the moors in which he would live off of the land and jump into the icy could cold waters. 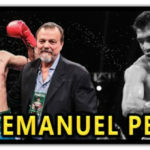 He would get his first crack at a world title in 1999 when he met the kingpin of the featherweight division, “Prince” Naseem Hamed. They met on 04/10/99 in front of a huge, electric crowd at the Manchester Evening News arena in Manchester, England. Hamed, who was used to knocking out his opponents in rather easy fashion, found Ingle to be one tough cookie. Hamed would put Igle down in the first round with a straight left hand and Ingle was immediately up. He continued pressing forward, holding his own with “Naz” while fighting at a very fast, aggressive pace. In the sixth round, Hamed would put Ingle down again with a hard left hand to the body. Most fighters would not have recovered from that shot; however Ingle did as he once again rose to his feet. Hamed was starting to get frustrated and winded, most likely wondering what was keeping Ingle up. The ninth and tenth rounds were Ingle’s best as finally got to “Naz”, landing hard shots while busting up Hamed’s face. Going into the championship rounds, the momentum belonged to Ingle; however in the 11th, Hamed would land a huge straight left hand that put Ingle down again. He was able to get to his feet; however referee Joe Cortez wisely stopped the bout and Hamed was relieved that the fight was finally over. After giving “Prince” Naseem Hamed the toughest test of his career, Ingle was back in line for another title shot seven months later when he faced IBF featherweight champion Manuel Medina. They met on 11/13/99 in Ingle’s backyard of Cottingham, Hull, Yorkshire in the United Kingdom. Ingle performed spectacularly throughout the bout as he put Medina down twice in the second round and again in the 10th. Medina was able to put Ingle down in the 12th round; however Ingle was able to get up and survive the round. The final result was a 12 round unanimous decision for Ingle. He was now a world champion. He would make the first defense of his featherweight championship five months later as he faced former two-time champion Junior Jones. The met on 04/29/00 at the Legendary “Mecca” of boxing, Madison Square Garden. 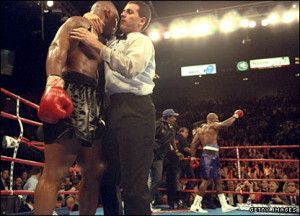 It was the co-feature for Lennox Lewis’ Heavyweight title defense against Michael Grant. It was a good exciting fight for the most part. Jones, a masterful boxer, was vunerable when getting into a fire fight and Ingle was slowly luring Jones into fighting his fight. One aspect of Ingle’s game that was underrated was his head movement, which caused Jones to miss a lot of shots early on, providing Ingle with many opportunties for left hand counters. In the ninth round, Jones landed a hard right hand that put Ingle down. 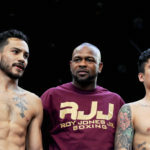 Ingle once again showed his championship heart by getting up and weathering a huge rally by Jones while regaining the momentum towards the end of the round. Ingle was confident he could wear Jones down and stop him and his game plan was spot on. Towards the end of the tenth round, Ingle rocked Jones badly and was a punch or two away from putting Jones down. Ingle, as he did against Hamed, had the momentum in his favor going into the championship rounds. In the 11th, Ingle picked up right where he left off in the 10th and rocked Jones, sending him reeling against the ropes, causing referee Steve Smoger to give Jones a count as only the ropes held him up. Ingle continued the onslaught, causing Smoger to step in moments later to stop the fight. It was the biggest win of Paul Ingle’s career and on the biggest stage; however his career was about to come to a screeching hault. Ingle defended his title eight months later against South African Mbulelo Botile in Sheffield, England. Ingle was dropped in the 11th and again in the 12th, causing the fight to be stopped. Ingle did not get up off the canvas and had to be taken out on a stretcher. He was taken to the hospital in which surgery had to be performed to remove a blood clot from his brain. 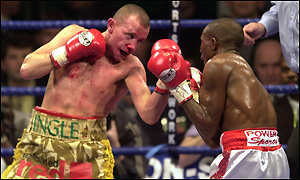 It was the end of Paul Ingle’s boxing career and he retired with a record of 23-2 with 12 KO’s. It was another of many great careers that were ended too soon. Ingle has recovered well from his injury; however there are long lasting effects stemming from his brain injury. He isn’t able to work or drive and he receives disability benefits. Today, Ingle battles depression as he copes with life without boxing. In a 2013 interview with Hull Daily Mail, he states “I still miss boxing 110 percent. I can’t even begin to say how much I miss it”. A boxing charity has been setup called Blue Glove Foundation which held a dinner in May of 2013 in which all the proceeds went to Ingle. A new boxing gym called the “Paul Ingle Boxing Academy” was also setup in his honor in his hometown of Hull in the the UK. It’s very sad how Paul Ingle’s promising career was ended. We definitely wish him the best and hope that he can conquer his depression and return to championship status, not in the ring; however in life. PHILADELPHIA (JULY 9, 2013)—A action packed co-feature has been added to a great night of boxing scheduled for July 26 th at the Thunder Valley Casino & Resort in Sacramento, California as part of ESPN’s Friday Night Fights. 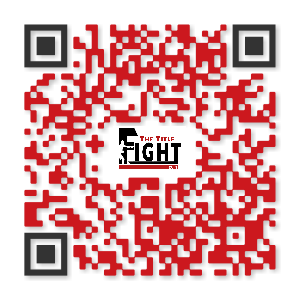 The fights are promoted by Banner Promotions & Thompson Boxing. 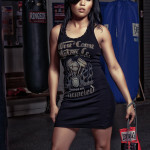 Gonzalez of Cleveland, Ohio has a record 21-3 with fifteen knockouts. The twenty-seven year old Gonzalez is a rising prospect as he continues to step up the competition and has quality wins over the likes of Tyrone Harris (24-7) and Humberto Toledo (39-6). 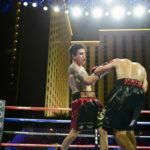 He is coming off his best victory to date when he scored a knockdown en route to a ten round unanimous decision over former WBA Lightweight champion Miguel Acosta on May 2 nd in Corona, California that was televised on a special edition of ESPN’s Friday Night Fights. Dos Santos of San Paulo, Brazil has a glossy record of 26-1 with sixteen knockouts. He won the WBO Interim Latino Super Featherweight championship with a twelve round unanimous decision over Alejandro Ciacia on August 22 nd , 2008. Six months later he won the full title with a twelve round unanimous decision over undefeated David Pared. 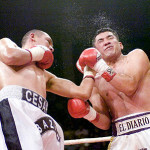 He made one defense with a fourth round knockout over Leandro Almagro. Dos Santos has won twelve in a row including recapturing the WBO Super Featherweight title in his last bout with a twelve round unanimous decision over Carlos Ricardo Rodriguez on May 4 th in San Paulo. “This will be a great fight. Gonzalez is coming off an impressive win over a former world champion in Acosta. Dos Santos has a great record and I know he is motivated by seeing how impressive his stable mate Patrick Tiexiera was a couple weeks ago on ESPN.” said Banner Promotions CEO Arthur Pelullo. Special guests scheduled to be in attendance will be former world champions Tony “The Tiger” Lopez, Loreto Garza, James Toney and Hall of Fame referee Joe Cortez.